The Human Resources Development (HRD) Minister of Andhra Pradesh, Ganta Srinivasa Rao is likely to announce the results of the AP EAMCET-2018 at 12 noon in Vijayawada on May 2, 2018. The official website of AP EAMCET - sche.ap.gov.in - states that the results will be declared on May 2, 2018. Candidates looking forward to their results are advised to keep an eye on the official website for all the latest and authentic information. 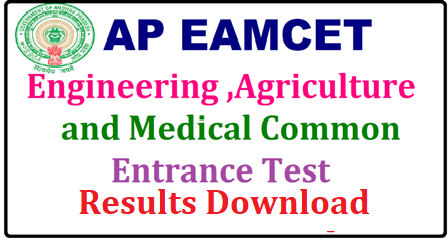 The Engineering, Agriculture and Medical Common Entrance Test (EAMCET) - 2018 is conducted by the Jawaharlal Nehru Technological University Kakinada (JNTUK) on behalf of Andhra Pradesh State Council of Higher Education (APSCHE). This exam is carried out as a pre-requisite for admission into various professional courses offered in the University/Private Colleges in the State of Andhra Pradesh. Entrance exam for various courses such as, Engineering and Agriculture were held in the month of April, Earlier response sheet and preliminary answer keys released on April 25th. Students can check the official website and wait for official notification to know the exact details about the result.